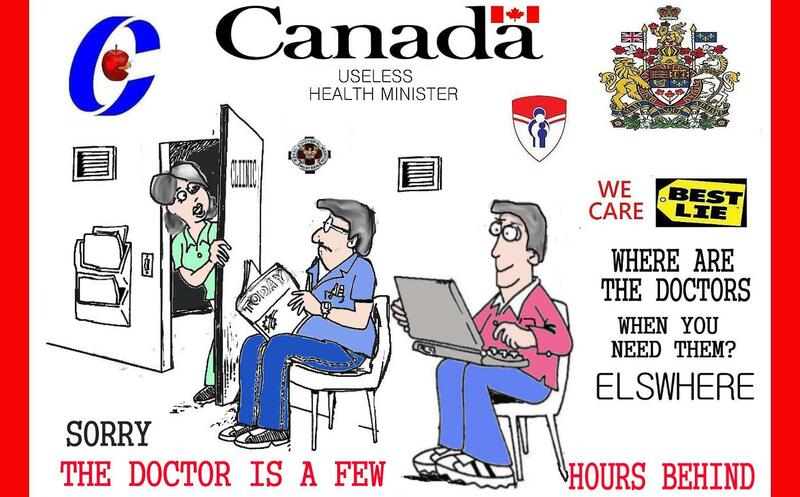 1 : Our Canadian healthcare system is fraught with non managed personnel waste as well. I have many times for a decade and more have written that “Our healthcare system is fraught with non managed personnel waste,” That is because Doctors, Nurses, medical professionals, staff in Hospitals are still not managed adequately. I can often see proof of this merely by visting a Hospital and counting the number of staff merely walking the floors repeatedly.. The other day at 2. pm in the afternoon I was visiting, the Pointe Claire Hospital, in Quebec, the medical records office.. I there next could not help but notice plenty of internal offices, plenty of additional tables and chairs but still I saw only one person there present , a janitor who was empting the waste paper baskets. When she saw me standing there she went to the first office to talk to someone and next a young lady came out of it. At the same time four other persons came behind me also to the records office. Because the staff’s conversation with me it all was taking a long time next one by one many young ladies, about 9 of them next left that same internal office and excused themselves to the staff receptionist from the office and they next left the records office.. the internal office gathering of young ladies was obviously TGIF party, a gathering going on in that office. Now I have often seen the same thing occur in provincial, federal, municipal offices now too.. why is that? Have you not also notice how often the Hospital’s cafeteria, coffee shops are mostly filled with staff during the day as well , and much more. 2: For over 30 years, we’ve known of striking differences in the amount of care patients receive and resulting costs depending on where they live. Often, health care is still not based on the best/adequate clinical, medical evidence, medical tests and so it does not lead to the most cost-effective outcome. Many of the tests are pretentious, false charge card excuses. Why is that still acceptable? 4: The vast majority of medical problems in this country are still due to obesity, poor eating habits, unresolved negative stress, lack of exercise, smoking and drug abuse, including alcohol. Until we address these, we’re just putting only more expensive bandaids. Most experts seem to agree the health care inefficiency results from a healthcare industry that’s focused more on cure than prevention. It strives to treat heart and artery disease, doing little to discourage smoking, encourage healthful diets, exercise and blood pressure maintenance. Hypertension is out of control, is under appreciated by the public as a health problem and is under managed in the current medical system. Of course this is true. Good health maintenance saves extraordinary amounts of money and reduces demand on limited healthcare resources. Just as reducing demand on oil lowers the price of oil, reducing demand for health care services would reduce the cost of health care. The whole idea should not be to treat cancer, diabtes and heart attacks, sickness in the first place but help to prevent it. 5: In reality there now are still to many patients every day who are still seeing 5 specialists, are even on up to 12 daily medications and are next doing poorly because no one is directing their own adequate medical care education, plan, and a dietician too. The emphasis on specialty care has become so great that too few medical students are pursuing careers in primary care to meet our needs. There already is a shortage of money allotted and a shortage of primary care physicians medical personnel in many communities and it next will only get worse over time. 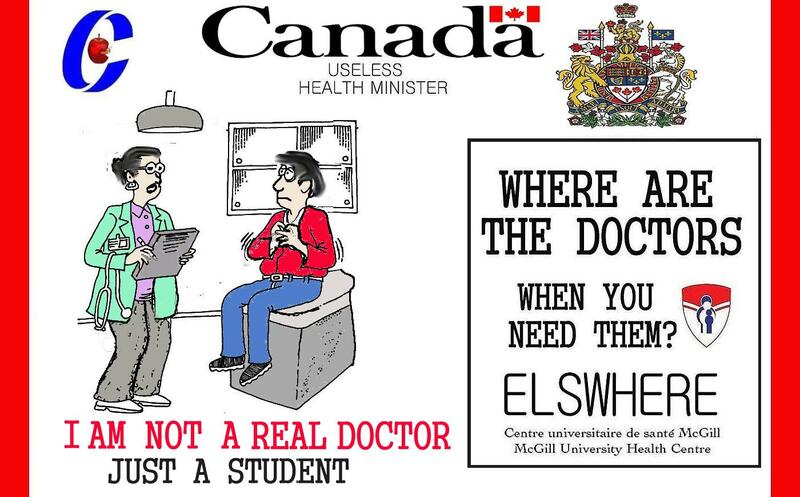 Adequate Doctors are only a very small part of the solutions. 6: Clearly eliminate the health care fringes that the politicians, celebrities too often do get. They should stand in the same lines that we are going to be in. If they are treated as special, the rest of us will continue to suffer. 7: I too now do believe by cutting bureaucratic waste at every level, stopping provincial and insurance company greed and their bait and switch game, eliminating ineffective treatments and standardizing effective ones and instituting early preventative care for all, we can create a system we can all live with. 9: Positive Health care Change are required and the persons who fear change are doomed to join the ever increasing bankruptcy lines. Why did the visits to the emergency clinic visit double in the last year? Or why does one pay for for a 10 minute visit with a local doctor who too often doesn’t know anything about you and couldn’t care less? Gives you very little help? Reality, more cops = fewer robbers. Medicare & billing fraud are a huge drain on the precious resources. A relatively small investment in auditors/investigators would be a valuable Return On the Investments AND increase public/political faith in the system. There still also appears to be no competitive connection between how much the government spends on patients, even in different parts of the country and the actual quality of the care the patients receive. It turns out that servcie quality is all over the map, and it isn’t necessarily better in the places we might expect, such as academic medical centers or the main, large cities. A ongoing review of the actual medical care and related costs , actual effectives is always required. Medical administrative costs are not only necessary but often really beneficial. For one example -Tracking the rate of heart attacks from drugs such as Avandia, or cough syrups for instance, are key to ensuring safe, better pharmaceuticals. There still appears to be no connection between how much money spend on patients, or Medicine in different parts of the country and the quality , the actual costs of the products the patients receive next. Pharmacies, pharmaceutical firms are guilty too often still of price fixings even. You are no more likely to pay more for a beta blocker or aspirin in a big city over a small town , even though the purchased volumes are much greater. What we have in medical care are a bunch of parts that have been thrown together with no initial thought to the greater whole. It’s a a real unacceptable mess, to be sure. All this is basically Why do I still give a grade of “failure” to our too often lousy medical care system? The Canadian Institute Health Information survey on hospital mortality rates, HSMR trends, released Friday, includes four years of results from across the country. The Director of Indicator and Performance Measurement, Dr. Indra Pulcins says the survey is a measure of the actual number of hospital deaths as compared to what should be the average figure. Dr. Pulcins says the province’s eastern regional health division is improving. The Eastern Health region has improved and is in line with the national average. Dr. Pulcins says that is not the case for the central and western areas. She says the central data for the last four years is steady but mortality is significantly higher than the average. And Dr. Pulcins says the trend is different in the western region. She says here, in the Western Health region, the mortality rate has gone up significantly higher over the last two year period. You can tell which province and provincial leaders only pretend they care about the good welfare of the citizens clearly now as a result too. I also had found it amazing that province of Saskatchewan had the lowest mortaility rate now too.